The Etisalat Social Me plan is to me the best plan available for now. 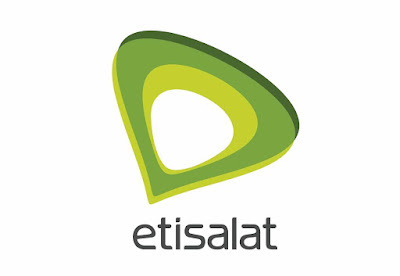 Unlike the mtn bb10 plan, the etisalat social me plan is a bit cheaper and it's also unlimited. But the only problem is the speed throttling. Bypassing the speed throttling on the social me plan used to be very easy until etisalat decided to step up their game and make bypassing almost impossible. You really can't imagine how frustrating the low speed is until you decide to download a file probably larger than a GB and you are gettin g a speed of 20-40kbs. It's can be really annoying. The good news is that I have finally found a new way to easily bypass the speed throttling and this method works very fine. Although I ought to have posted this bypassing trick few days ago but I just decided to test it a little more just to be sure if it's really effective. Though I have only tested this method with Psiphon handler, I think it should work on other VPN's like Simple Server or tweakware. This method has only been confirmed on the Social me plan which is N300 weekly and N100 daily. So for those of you using the chat pack plan, I can't guarantee you anything. Below is the short but detailed procedure on how to go about it. For those who are new to this, you might want to check out this LINK before proceeding. ==> First you have to force stop the VPN you are using, turn off data and toggle airplane Mode. ==> Or you can just go ahead and restart your phone. ==> After that, turn on your data and make sure you are on 3g. NOTE: Do not launch any VPN yet. ==> Keep your data on for about 40-60mins. While your data is on you can go ahead and use your WhatsApp, Facebook, Twitter or Instagram. *Just make sure you don't launch any VPN. ==> After about an hour, you can go ahead and connect your VPN. After that, speed throttling should be by passed and you should notice increase in your browsing speed. Note that If there is any internet disconnection probably due to network issues, incoming or outgoing call on your other sim which happen to be inside the same phone or any other reason, you have to restart the procedure all over again. Although this method has been tested and confirmed by me, if you are still facing any issue, just drop your question in the comment box below. Which vpn are you using and what subscription plan..? Downgrade to version 1.0 and also make sure you use the third chat pak option under bundle settings. prof..hav done dat speed stil btw 40-60kb/s ..
You can't upgrade to lollipop through system update. Still the best. Thanks for this and other tutorials. Also for your whatsapp group. “smali” installed on your PC.